Having a supportive and open culture in the workplace leads to happy, motivated people who feel accepted. A diverse culture leads to new viewpoints and insight, and opens up a whole world of possibilities when it comes to new ideas. In Customer Support, we talk to people from all walks of life every day and having a diverse team enhances the experience for everyone. It lets us learn from each other about different backgrounds and experiences, helping us become more empathetic and open. Research shows that diversity can drive innovation, but on a deeper level, ensuring that your people feel comfortable being who they are in the workplace can be a good thing for everyone. I’ve worked in places before where I felt like I couldn’t be open about who I am, or where I had to play the pronoun game when speaking about my partner. It was upsetting and stifling and I knew I’d never reach my full potential in a place where I felt like that. It takes a great deal of energy to feel like you’re living a double life, and can be mentally draining to constantly have to check yourself when speaking about what you did during the weekend or upcoming holiday plans with your significant other. 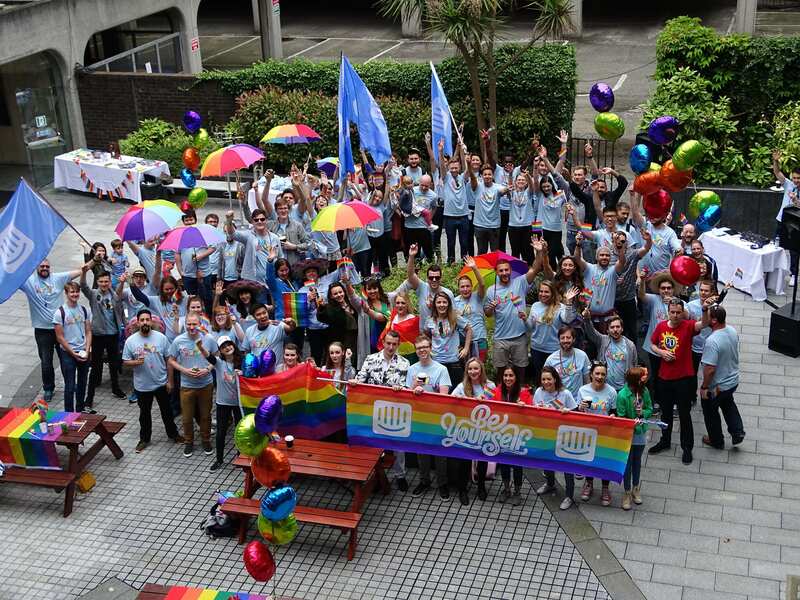 It was last July when I started working at Intercom, a week after Dublin Pride. I watched the parade from the sidelines and I saw Intercom go by. I knew the company was still pretty small at this stage, but the turnout was huge! It looked like every person from Intercom had taken part. I felt incredibly excited that I would be joining a company that was clearly open and supportive to the LGBT community and immediately knew I would be accepted for who I am. During my first week here, I discovered the vast number of employee-led communities that were available, including one around the Pride community. A year later I’m now running this group, gearing up for one of the most important days of the year for the LGBT community, Pride. Intercom at Pride 2016 in Dublin. Intercom is known as an open and diverse place, but what’s even more special is the fact that our CEO Eoghan is so vocal about this. Earlier this year he wrote about supporting our Muslim sisters and brothers in tech, highlighting that the company’s inclusion and openness stems from the top down. This made me genuinely feel like Intercom strives to make itself a more open and understanding company, something that is so important to many people. This year, our motto is Be You, which speaks volumes. Feeling like you’re free to be yourself is incredibly important in your personal life, and this is no different in the workplace. Ensuring that your people feel like they have the freedom to be who they are means they’ll have the confidence to grow and develop, to build meaningful relationships and progress in their jobs.